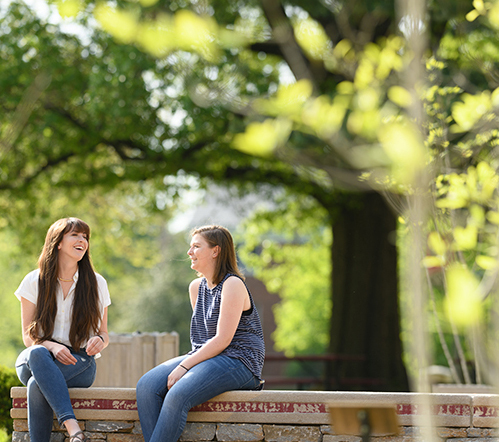 The goals of Transylvania's Department of Student Wellbeing are to provide accessible, timely and confidential primary care while educating students about optimizing their physical and mental health by choosing health behaviors and lifestyles. Achieving these goals will improve academic success, prepare students for a lifetime of good health behaviors and improve student retention. Health Services is located in Rosenthal Commons. You will need to swipe your Crimson Card to enter the building. A nurse practitioner is on campus Monday through Friday to provide evaluation and treatment for many common health needs. Services include physicals, flu vaccines, allergy shots, smoking cessation, blood pressure checks and more. Appointments can be scheduled online OR students, faculty and staf can walk in. Hours: Monday-Friday, 7:30 a.m.-10 a.m. and 1-4 p.m. Hours are subject to change during holidays and breaks. Health Services will not attempt to replace the student's private healthcare provider nor assume responsibility for the individual's medical needs. They will collaborate with a healthcare provider to coordinate care as needed. There is no fee for the medical visit. Lab tests will be billed, at minimal cost, to the student's account (see fee schedule). Lexington has many fine private hospitals and a major regional medical center at the University of Kentucky. Emergency care can be provided by the Lexington-Fayette Urban County Fire Department's paramedic squads in minutes, and each resident assistant is trained in basic first aid and CPR. Students requiring acute emergency care are often referred to Samaritan Hospital, eight blocks from campus. Students often wonder if counseling would be helpful to them or if their problem is “severe” enough to get professional help–or if they even have the time and energy to engage in counseling. Typically, students seek counseling for a variety of reasons: dealing with a recent stressor or long-standing problem that is interfering with some aspect of their life; taking a positive first step to prevent a problem; or simply seeking self-awareness. Individual counseling is an opportunity to talk with a counselor about any topic on the student’s mind or to address particular issues the student and counselor have already worked to identify. Transylvania provides free on-campus counseling services Monday through Friday 9 a.m.-5 p.m. Services include individual and group counseling and referrals to other types of mental health services. Services are confidential and are not a part of a student’s academic record. To schedule an appointment, please email counseling@transy.edu or call 859-281-3682. Our office is located in the back of the W.T. Young Campus Center. For more information, contact Chase Waskey at 859-281-3682 or cwaskey@transy.edu. The Disability Services office is responsible for coordinating reasonable accommodations for students with disabilities in institutional compliance with the Americans with Disabilities Act and Section 504 of the Rehabilitation Act of 1973. College is a time for students to move toward self-advocacy with the support of the Disability Services coordinator. The coordinator acts as liaison between students, faculty and staff as well as those in the community as students move toward other post-graduate opportunities.